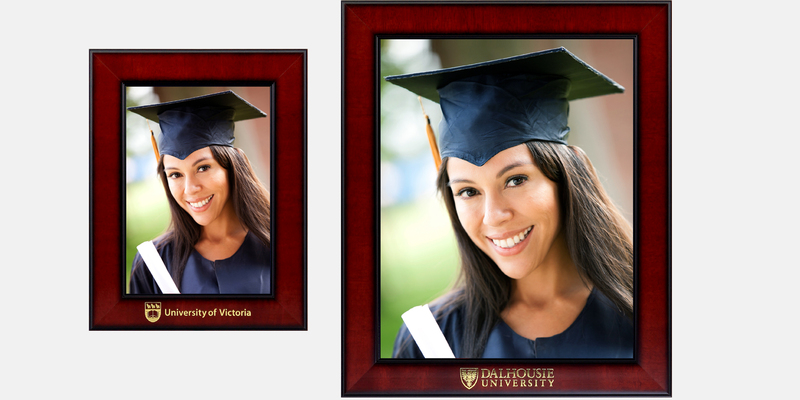 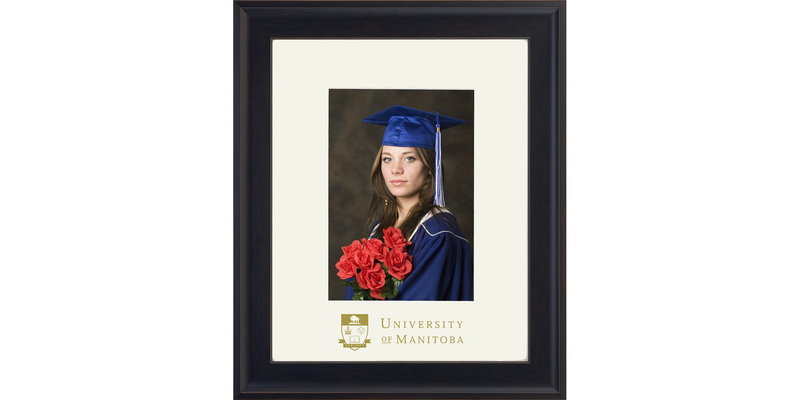 The Tempo Metal Diploma Frame is an entry level product with the lowest price point. 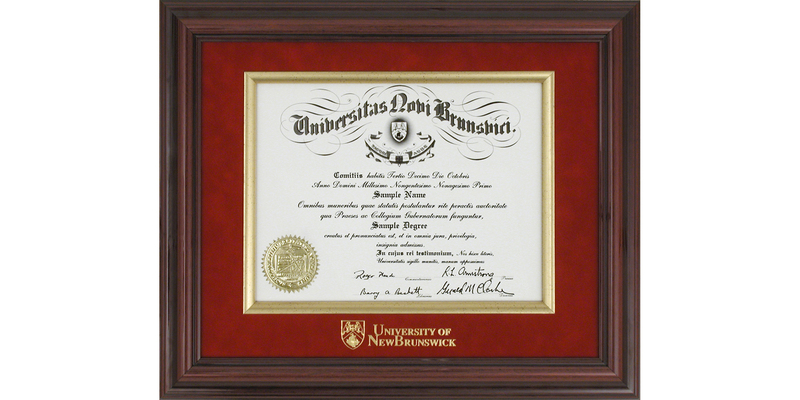 The Metal Diploma Frame is usually supplied in frosted gold or silver with a corresponding stamped single mat. 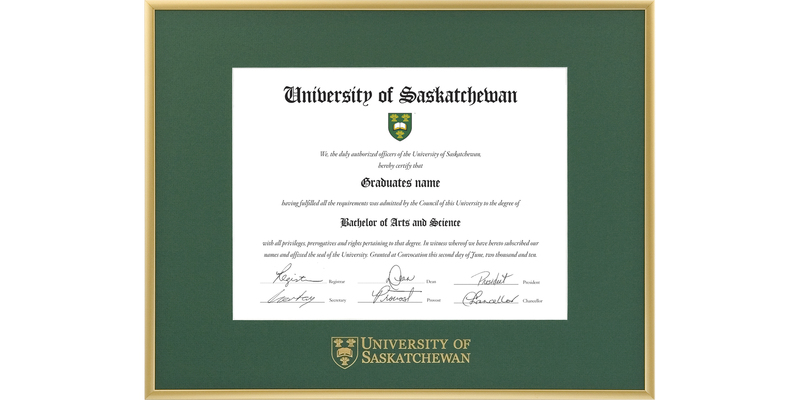 The Metal Frame is also used in many other applications such as not for profit donor recognition and special event mementos. 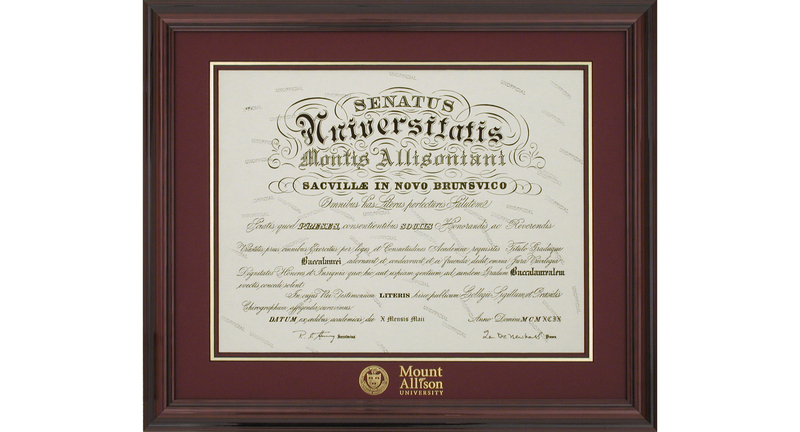 The Bostonian profile is a classic Crown shape, mahogany in color and the finish is more luminous. 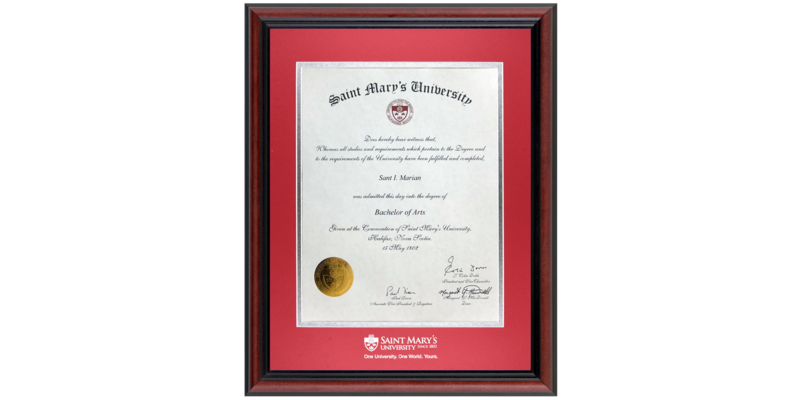 To help you attract your target market of younger buyers, the Bostonian Diploma frame will give you an attractive entry-level wood diploma frame. 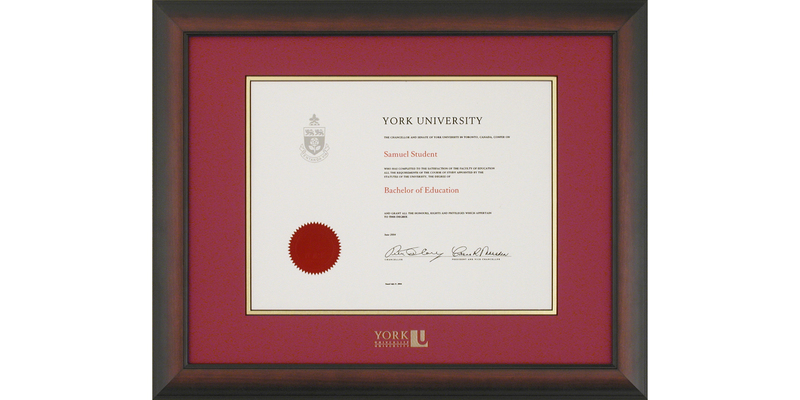 The Rideau is a very wide moulding (1.75”) with a trendy espresso finish. 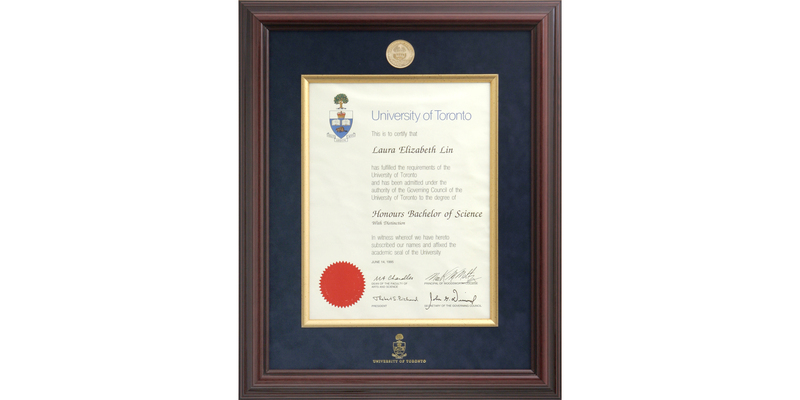 What makes the Rideau moulding completely different is that it has a scooped out profile rather than the existing mouldings that feature rounded crown profiles. 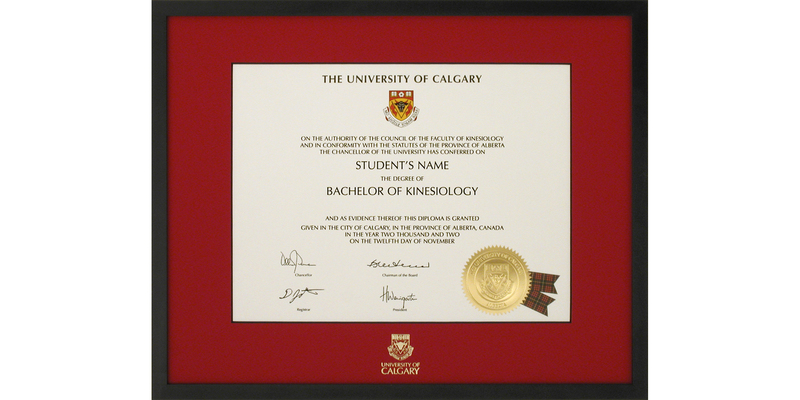 The solid mass of the Rideau moulding gives a comfortable feeling of durability with a contemporary flair.